Returning to the source, beginning anew, and staying simple – these are themes I have adopted as most pertinent in these pages, inspired by the Taoist and Zen influences that permeate Seiki and which, I want to show here, are the heart of Shiatsu too. Continuing my occasional blog posts in essay form, this is my Spring offering. Originally a quiet, “Inner Way of Healing” defined by quality of touch and attention, and the unspoken tradition of Non-doing. In Japan the manual therapies carried classical Chinese influences on down the centuries as “Do-In Ankyo” or “Anma Do-in” into which were gradually filtered the typical characteristics of the Japanese Culture that produced all the Hara Arts. Thus in Japanese traditional medicine specifically, we encounter the form of Hara diagnosis and treatment known as “Anpuku”. This was accorded special status among healing practices due to the high level of intimacy and concentrated attention connecting practitioner and patient in breath, body and mind. The ideal behind the diagnostic arts, beyond the simple identification of disease, is that of understanding the condition and direction of the patient’s life. In touching above all, qualities of respect, confidence, patience and delicacy are valued prerequisites for developing the necessary sensitivity. The essential character of the Anpuku method was described by the respected late nineteenth century researcher into manual therapies, Fusai Ota, as “Suiatsu”, implying a quiet, concentrated quality of Hara contact where touch diagnosis and treatment would merge into one experience. His work was undoubtedly known to Tamai Tempeki, a later contemporary pioneer who first introduced Shiatsu Ryoho, or “Finger Pressure Healing Method”, similarly inspired by Anpuku, and intentionally distinguished from other types of Anma. Shiatsu was born in Japan at a confusing and challenging time, when the confluence of ancient and modern streams was charged with conflict. 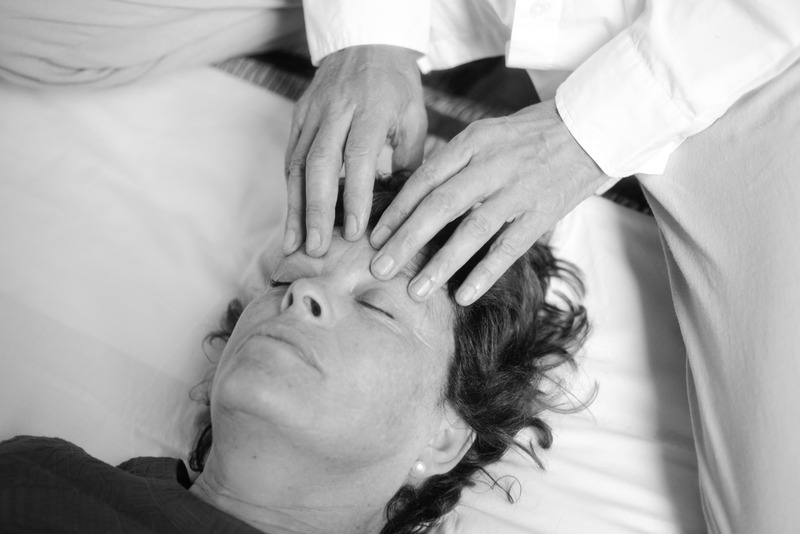 The evidence, though, is that the distinguishing feature that pioneering Shiatsu practitioners sought to preserve, and which was in danger of being lost in a plethora of degraded massage practices as well as novel techniques of modern physical medicine, was the quiet intimacy, stillness and concentration central to Hara treatment. This same “calm and simple placing of the hands” that had defined the early Shiatsu of Tamai Tempeki became the focus of the work undertaken half a century later by Namikoshi and Masunaga. Both these men were influenced, directly or indirectly, by Tempeki’s teaching and both similarly emphasised mental concentration and stillness. In fact, stationary, perpendicular, penetrating pressure, Hara centred awareness and a relaxed state of body and mind were among the “Five Principles” taught by Masunaga as the basis of Shiatsu touch*. Even as he moved on to develop his more complex therapeutic approach, he insisted that “Sesshin” (life-sympathy feeling) was fundamental to effective shiatsu treatment. Akinobu Kishi took this further in Seiki-Soho, where quiet and simple touching is practiced as “Waki”. This discipline is an extension of Gyoki (attention and sensitivity to the breath). Kishi also indicated that, beyond concentrated, mindful presence, emptiness is also necessary for complete resonance between ourselves and others. The continuity is evident. Here I think it is worth pointing out the significance of the pivotal line of research that validated Shiatsu as an independent therapy, distinct from traditional Anma massage and physiotherapy, at the crucial stage when Masunaga and Namikoshi were collaborating with other recognised experts for that end. This was neither founded on, nor directed toward, the scientific validation of Ki or any related traditional theories. It was built on the recognition that quiet, stationary pressure produced specific and predictable changes in a range of physiological functions regulated by the autonomic nervous system. The Shiatsu project started with already accepted findings of physiological research and went on to confirm the distinct benefits of shiatsu touch associated with the quality of the technique itself rather than the methodology or theoretical framing of its application. To recap, Science has investigated the mechanisms associated with stress and it is well established that the body reacts to danger or threat in a rapid sequence of changes controlled by the networked sympathetic nervous system and associated release of adrenal hormones. Heightened sensory alertness, raised heart rate and blood pressure, with enhanced blood supply to the muscles and superficial vessels, prepare us to confront or escape from danger. Meanwhile our digestive functions are suspended and blood supply to the deep tissues and organs is reduced. Later, when the threat has passed, the body system then seeks to rest and recover. The autonomic nervous system reverts to the parasympathetic mode when an ambience of safety and calm is registered. This parasympathetic response, regulated by branches of the vagus nerve, favours the body’s basic metabolic life functions. That is to say, it optimises blood circulation through the internal organs and promotes the secretion of digestive fluids and enzymes. Heart functions normalise and breathing typically deepens and slows with the release of the diaphragm. Intestinal peristalsis is similarly restored. It is now also well understood that an increase in the regularity or intensity of circumstantial life stresses, including the pain and stress of illness itself, and/or any occasions of critical, unassimilated shock (PTSD), bring on a vicious cycle of chronic tension and anxiety, with the affected person unable to reach or recognise any situation offering respite and calm. Adequate connection with the parasympathetic set of responses is lost and the stress combined with underlying exhaustion gives rise to many secondary symptoms. The simplest of Shiatsu techniques, those derived from the deep, still and penetrating exploration characteristic of Anpuku and the Hara connection, were the beginning and the end-point of the post-war shiatsu research project. The presence of non-stimulating, supportive pressure, or empathic touch, was shown (proved) to bring about the deeper autonomic processes that optimise organ function and support healing in chronic disease – the parasympathetic response. In other words, the key to healing is calm human contact, serenity and the restorative power of the parasympathetic system. That’s all. As it happens, this is also the penetrating insight, the essence and the literal meaning of the entire Daoyin/Do-in tradition. Namikoshi, an astute and charismatic practitioner who had himself studied with Tempeki, developed the standardised shiatsu form that systematically traced the anatomy with two-handed pressure. Though he has often been criticised for introducing this anodyne mechanical method, it should be considered that a simply organised and repetitive approach allows the practitioner to focus on the qualities of touch and response alone, adjusting the technique according the needs of the receiver. Namikoshi was devoted to the re-establishment of traditional Shiatsu therapy in a difficult political climate when all aspects of Japanese culture were suppressed. This method did not exceed the limits of the precisely focused research that he and his team had devised, and it was accepted. Kishi himself affirmed that Namikoshi’s sensitivity was such that he could evoke the quality of empathic resonance while his hands traversed the body in this routine manner. Whether all those who pass through this officially established training can attain the subtle essence of the method is of course debatable. Masunaga, a committed academic, went on to initiate a very different approach to shiatsu, integrating aspects of modern biology and psychology with modified traditional medicine, though he was initially clear about those central Shiatsu principles. He was a charismatic teacher who inspired great confidence, but eventually his restless intellectual searching led him back to complexity. In attempting to reconcile modern psychology and traditional theory, he left a potentially confusing, conceptually layered legacy and a modified map of the traditional meridians, suggesting clinical protocols that were taken and developed in different ways by his various Western and Japanese followers. The fact that his first and most famous published book was summarily given the title ”Zen Shiatsu”, may have added to later misconceptions. In my view, current versions of Shiatsu formally taught in the West, which either follow the official line of Namikoshi’s school or the contrasting approach developed by Masunaga (nowadays often reinforced with various elements of TCM) have engendered unnecessary division and confusion, and weakened the links with traditional Do-in and the experiential spirit of Japanese Ki Culture. Formal knowledge and treatment procedures, whether based on standardised patterns or selected meridians, tend to make us busy and proportionately less sensitive. Typically, we just do too much. Of course all the formal training systems have something to offer but they rely heavily on established medical views and protocols, institutionalising a rather narrow professional therapeutic model. The humbler vision, of a shared education in the benefits of touch for general health and wellbeing, has practically disappeared. While emphasising safety and respect for persons, such an education might simply enhance our appreciation of the remarkable self-regulating nature of the human organism. In summarising the perspectives and practices of subtle medicine, we cannot ignore the philosophical and spiritual dimension. The simpler questions of health are inherently bound up with the ceaseless human quest for harmony, meaning and purpose in the face of life and death. In China, medical thinking was strongly influenced by the early Taoists through the Naturalist School of philosophy. Later, Taoist thought and practice significantly influenced the development of Buddhism after it arrived in China from India, giving rise to the Chinese Ch’an School, and thence the Zen Schools in Japan. Both Taoism and Buddhism retained their position as spiritual and cultural references in the development of medicine and healing, especially in the Daoyin methods where experiential study becomes paramount. The particularly pragmatic and experiential emphasis of these meditation schools found resonance with practical aspects of many creative arts, and this extended to the subtler side of manual therapy. In Japan, Zen Buddhist practice combines with ancient Shinto tradition in Hara Culture, an entirely practical approach to all forms of creativity. All the Hara arts include a vision of health as harmony with Nature in body and mind, and a personal discipline that allows space for the natural and spontaneous. Equally fundamental to the healing arts, this vision and discipline cultivate a deep appreciation of life as it is lived, moment by moment. Meditation brings the practitioner into a concentrated state of awareness and sharpens the mind. Correct focus on the breath, the body and the mind itself reveals the impermanence of all phenomena, the illusory nature of the personal ego and the pointlessness of attachment. Taoist teaching is to follow life as it flows, adapting and changing as water does, and Buddha taught that either grasping at or rejecting what life brings is the principle cause of suffering. Addressing the existential questions of suffering and liberation, Zen Buddhism points to an immanent spirituality within the common bounds of ordinary life. The disciplines foster selfless, spontaneous action in accord with the time, and this clearly includes non-action, or “wu-wei”, which in early Taoist thought is the equivalent of skilfully following Nature’s tendencies rather than trying to impose our will on the course of events. This practical notion can also be understood as wei-wuwei (effortless effort, or action without force). It arises within the whole context of Eastern thought and philosophy, where the appreciation of the “emptiness” as well as the “suchness” of all things is considered equally meaningful for happiness and harmony. Meditation, contemplation of the breath, sitting “just to sit”, or mindfully sharing a cup of tea, these are small lessons in impermanence, the endless flow and change of which we are part, but over which we have very little control. So, is there any point or validity in preserving the name and notion of “Zen Shiatsu” in relation to contemporary versions of Masunaga’s Meridian Shiatsu? Maybe, but only if we apply ourselves wholeheartedly to the study and practice of Zen discipline. 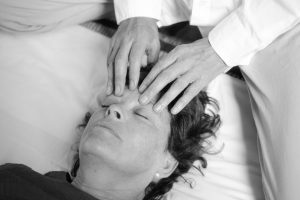 Specific adaptations of Kyo-Jitsu theory in diagnosis and treatment, with a formal clinical approach frequently modified by TCM, have undoubtedly moved shiatsu in the direction of specialised medical therapy with anticipated benefits and outcomes. The opposite tendency, toward subtle, self-directed or shared exploratory healing practice, self-knowledge, spontaneity and down-to earth spirituality as indicated by Zen, is not given so much prominence today. Here, for reference, a traditional description of Zen. And attaining Buddhahood (awakening; liberation). Zen, here described in an anonymous but long accepted epithet, is the actual practice of meditation (concentrated awareness). Zen, as mentioned above, is derived from Chinese Ch’an Na, originally Dhyana in Sanskrit, and thus the essential core of Buddhism, being what the Buddha actually did to achieve enlightenment or liberation rather than the teachings he expounded afterward. The Teachings, repeated as sutras and later written down, were intended to guide and support the practice, but cannot substitute for the direct encounter with subjective reality, which must be dealt with as it arises by each individual. In meditation we work with our conscious experience of body and mind, our senses and our thoughts, from moment to moment. Through resonance, harmony is found. Seiki is central to the Japanese tradition of manual therapy from which contemporary styles of Shiatsu also grew, but it stays close to the non-formal, experience-based, spontaneous aspects of practice that begin with “non-doing”. It is a healing path that emerges from Emptiness. The intimate Hara connections of Anpuku are revealed when we are tranquil and empty in heart and mind. Simplicity becomes the basis of complete attention, and a power that is actually identical with conscious natural harmony. Other aspects of the practical training proceed only slowly, through perseverance, as we learn to co-ordinate Hara and hand, to widen and unify our perceptions and to recognise an amplified range of possibilities in each unique encounter. This is an extract from a longer article on the Essential Practices of the Seiki Way, itself a work in progress that seeks to explain as fully as possible the nature of this experiential approach, the evolution and presentation of its methods by Akinobu Kishi, the challenges that arise on the path and the profound benefits it may bring. PL.